From starting out doing the milk rounds, Noel Barcoe has since set up his own award winning milk and dairy company. Here he recounts his journey, along with his passion for all things milk. In 2015, following a decision to move away from mass-market milk, veteran milk distributor, Noel Barcoe along with the help of family and friends, established the Village Dairy, a Carlow-based micro-dairy, sourcing and processing milk from twelve hand-picked dairy farms. His drive and ambition has been to ‘make milk matter’ and to supply his now award-winning milk into local shops, restaurants, hotels and more recently to some of Ireland’s leading baristas. Working in the milk and dairy industry was always something that I really enjoyed. In late 80’s I left school and started working on a milk round. In 1990 I started my own milk round and began distributing milk and dairy products on behalf of Avonmore. The business grew and then in 1999, along with my business partners, we decided to set up a business called Dairyland Cuisine. We were able to sell milk and dairy products under our own brand, which we then supplied to restaurants, shops and hotels – basically to anybody that needed milk. 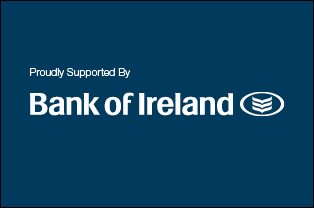 We sourced our branded milk products from dairy coops such as Donegal Creameries, Lakelands and Dairygold. Unfortunately, when the recession hit in 2008, trade was severely affected and the impact meant having to reinvent ourselves and our business. This all coincided around the time of the pork scare, when consumers were becoming more aware about where their food was coming from and what the product had to offer, from a taste and quality perspective. It had always been at the back of my mind to set up a micro-dairy and source milk directly from local dairy farmers. Fortunately, we still had the premises at Killeshin, which had been the distribution depot for the Dairy Cuisine business and was still registered, as a food depot with the local authority. 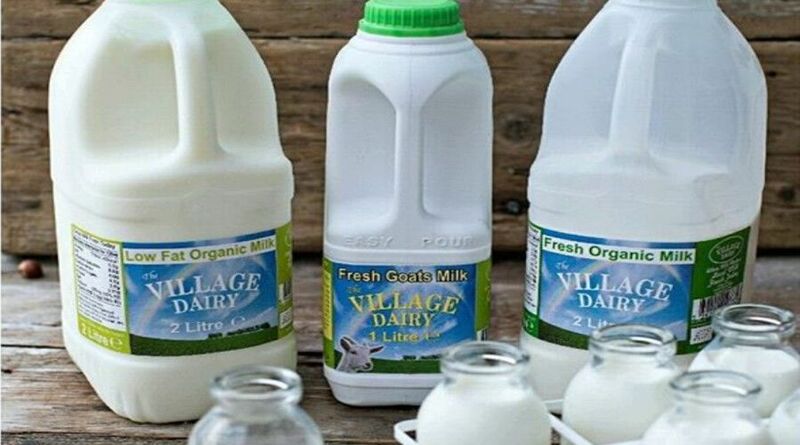 In 2015, the Village Dairy began supplying local restaurants, hotels and stores ranging from Dunnes Stores, Super Valu, Londis and independent shops. More recently we have been supplying a range of coffee shops in Dublin who liked the flavour and quality of our milk along with a number of speciality ice cream shops, who also appreciate its taste. We collect our milk from the farm and with minimal processing and within 24 hours, it’s available on shop shelves. We supply organic, jersey and ‘fresh milk’ and carry out all of the department’s tests as standard. In the stores, it’s generally the over 40’s who buy our jersey milk, however, slowly but surely, younger customers are also beginning to purchase this product. We don’t advertise and our marketing is mainly by word of mouth. There is also a growing interest in our organic milk range, particularly among teens and families, along with a cohort of shoppers who seek out our ‘fresh milk’, as it’s less expensive than either our jersey or organic milk range. The Village Dairy operates as a niche business and is not interested in supplying the mainstream markets per se. Firstly, we would never have the volume of milk needed to supply nationally and secondly we don’t wish to move away from the quality of our existing product. It’s nice to get that support and positive feedback, when a customer in a shop picks up our product, knowing that all the team have been instrumental in placing on the shelf – you know the family farm it comes from; you know Kenny and the team in the dairy who make the magic happen; you know the drivers delivering the milk and the shop-keepers. Recognition is important. In 2016, we were awarded a gold ‘Blas na h-Eireann’ award for our jersey milk and in 2017 we were awarded three silvers for our buttermilk, organic and jersey milk ranges respectively. More recently we were thrilled and delighted to process, pack and sell just over 40,000 litres of milk and milk by-products in a single week, across our range of products. In 2018, our Fresh Milk won gold, our Jersey Milk took silver and our Organic Milk earned bronze and the dairy also received the award for ‘Best in Carlow’ for the third year running. The Village Dairy benefits the local economy and that’s something I am quite proud of. We employ sixteen people from the locality and our local dairy farmers also benefit, as we pay them a bonus for their quality milk. Undoubtedly, it’s very much a team effort, from the farmer to the customer, who is also an integral part of the team. In five years’ time our aim is to double our output to 80,000 litres milk per week. To achieve this target, it’s important to keep a close eye on cash flow and margins and be precise in our projections. There is always some unforeseen circumstance such as replacing capital equipment that you may not have budgeted for. So it’s important to plan carefully and have some contingency funds set aside. The milk industry is very competitive but with our niche product, its provenance and short supply chain, we look forward with confidence to the on-going support from our customers into the future.